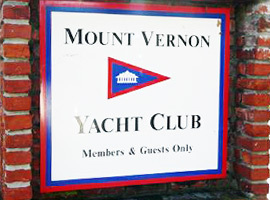 The Sail Fleet of the Mount Vernon Yacht Club promotes safe boating, the sport of sailing, and camaraderie among members of the Mount Vernon Yacht Club through activities including club racing and activities with the Power Fleet. While the weather is generally fair, at times, the mighty Potomac can be dicey, but most years the Potomac serves up glorious days on the water especially during the Spring and Fall months when most sailing activities are scheduled. This year Mount Vernon Yacht Club Sail Fleet schedule includes the Spring Race Series (6 races), the Fall Race Series (6 races), the Craney Island Race (night race), and the Leary Memorial Single Handed Race (in the fall). MVYC club racing is geared towards casual sailboat racing and is great for sailors of all abilities. This is a great opportunity for beginners to learn about racing and improve their skills. Safety, fun, and camaraderie are the guiding principles while we enjoy improving our sailing skills and competing. The season starts with the first race of the Spring Race Series in May after Commissioning day. The Fall Race Series begins following the Labor Day weekend. The sailing schedule isn’t complete without the perennial favorites: the Craney Island Race and the Leary Single Handed Race. The Craney Island Race is a fun event starting in the evening as the sun sets with a course the takes sailors from Dogue Creek around Craney Island and back. The Leary Memorial Single Handed Race brings out the competitive juices and challenges the skills of skippers who compete without crew to help them perform the various often simultaneous tasks necessary to keep their sailboats moving efficiently around the race course. During the hot days of summery and late days of autumn, impromptu racing occurs when conditions permit. It looks like another great racing season at MVYC. Hope to see you out there. MVYC member sailors without boats who are interested in crewing can contact the Sail Fleet Captain. MVYC sailors seeking more competitive sailing, can also travel up and down river to participate in racing events hosted by other Potomac River sailing clubs as well as racing on the Chesapeake Bay. Favorite Potomac River sailing events include the Leukemia Cup Regatta (hosted by Daingerfield Island Sailing Club), and the Master of the Potomac long distance race (hosted by Quantico Yacht Club), both in the fall. Chesapeake Bay sailing events include the Screwpile Challenge Regatta at Solomon’s Island in July and the Maryland Governor’s Cup Race in August. 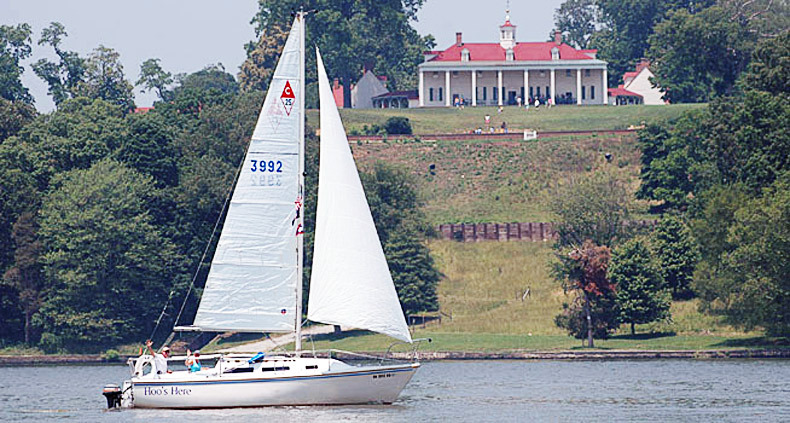 See the Potomac Yacht Racing Council website for more information (https://pyrc.shutterfly.com). May 6 Commissioning Day – Decorate your Boat!